Is it really possible to repair any sash window? One of the most common calls we get regarding sash window repairs is “can you repair any sash window? The truth is yes, we repair any sash! 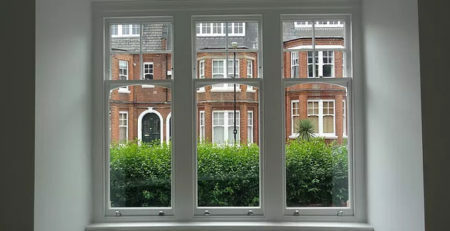 But in reality of course a lot of sash windows we see are in such a state that it is just not economical viable to repair them and replacement sash windows is often advised as a more cost effective solution. So in essence it is true to say that we repair any sash window but in reality often the client will choose replacement reproduction sliding sash windows as the cost is either the same as repairing them or in some cases less. Sash windows are prone to rot just like any other timber product but with the right care and maintenance sash windows can last a lifetime and more. If you have sash windows that are looking worse for wear then seek advice on getting them repaired. If a sash window is left for too long then you could end up in a situation where you may need to replace them. 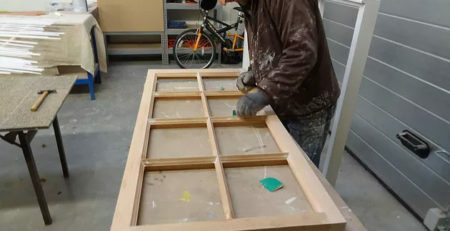 The best way to tell if your sash windows need repairs or restoration is to feel the surface of window window. Push down against the sash windows surface with your finger nail, the surface may look quite solid but this may only be the many layers of paint applied over the years. The wooden window below the paint could well be rotten and if so will need attention. Common areas on a sash window that are prone to decay are the sill, bottom rails and the meeting rails. Probe such areas to see if they are solid and if you find soft areas seek advice from a professional sash window repair company.